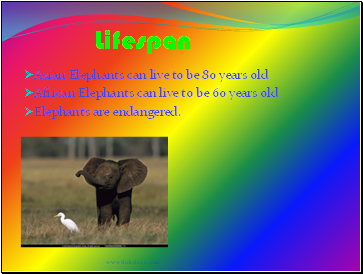 It is an Endangered species. 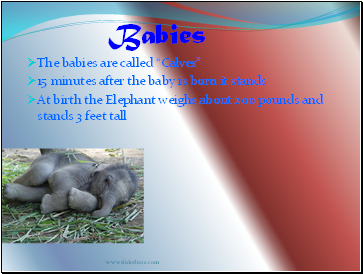 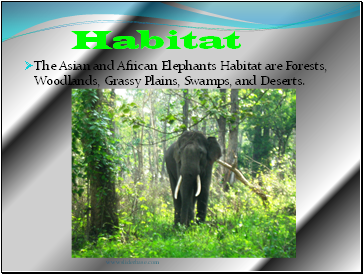 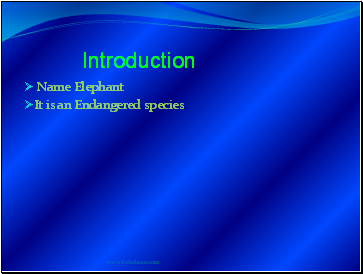 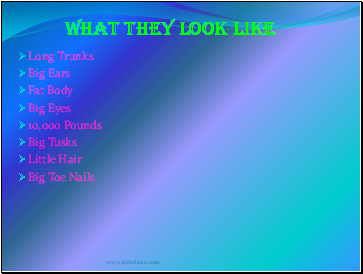 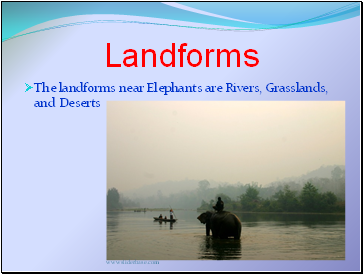 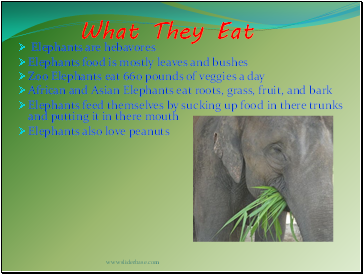 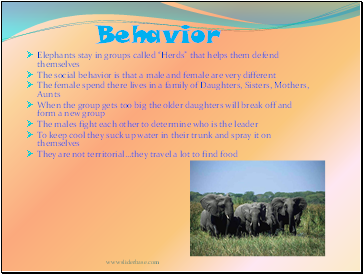 The Asian and African Elephants Habitat are Forests, Woodlands, Grassy Plains, Swamps, and Deserts. 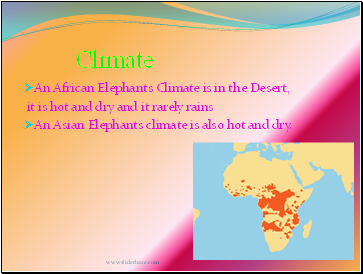 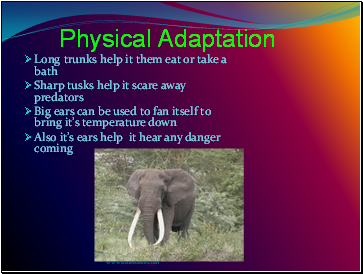 An Asian Elephants climate is also hot and dry.